You won’t believe how well these two go together. 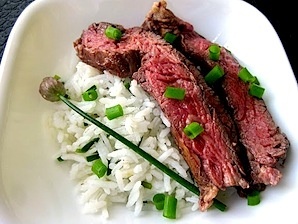 BBQ or pan sear the flank steak, let sit and then warm up the basmati rice (with cardamon pods for flavour) slice thinly and serve. 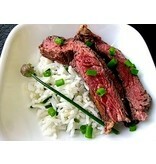 Ingredients:Flank steak, rice wine vinegar, soy sauce, fresh ginger, fresh garlic, vegetable oil & brown sugar. Ingredients: Basmati rice, olive oil, cardamom pods, sea salt. 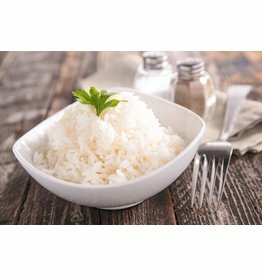 Scented basmati rice steamed with cardamom pods & sea salt. Flank steak in an Asian-inspired marinade.